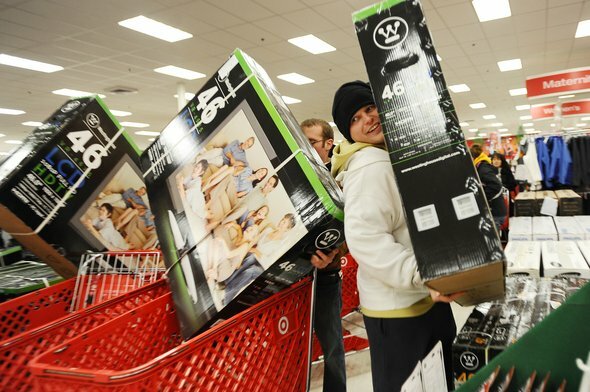 Top 10 list of the best Black Friday TV deals to date for 2013 as of November 17, according to TVPredictions.com. 1. Sam’s Club & Wal-Mart: Vizio 70-inch Smart LED TV: $998 (normally $1,600-$1,800). A 70-inch Smart LED TV from Vizio for $600-$800 off. This is the hallmark of what Black Friday sales are supposed to be all about, and with this deal you have two stores to choose from. 2. Wal-Mart: Vizio 60-inch, 120Hz HDTV: $688 The flat-screen set normally goes for $899 or $999 online or at retail. Perhaps not the biggest bargain out there, but still a nice discount. 3. Wal-Mart: Funai 32-inch 720p LED HDTV: $98 Funai may not be a name brand, but most television display experts say the picture quality on a 32-inch model varies little from brand to brand. At $98, this is a great deal for anyone looking for an extra HDTV for a kids’ room or guest room for example. 4. Best Buy: LG 55-inch, 120Hz LED TV: $499 (normally $1,000). This flat-screen TV sale is one of six doorbusters that the retailer has announced thus far. A 55-inch TV for about half the price is a true bargain. 6. H.H. Gregg: Seiki 55-inch LED HDTV: $399 Seiki is also not a name brand, but when do you ever see a 55-inch HDTV for just $399? This set normally retails for about $300 more online and in-store. 7. Wal-Mart: Apple iPad Mini 16GB: $299 (with $100 gift card). The price is basically the same as you would find before Black Friday, but the $100 gift card arguably makes this a 33 percent discount. Note: Target is offering a similar deal at the same price, but their gift card is only $75. 8. Meijer’s: Apple iPad Air: $379 (with $100 off next Meijer shopping trip). The new Apple tablet will not only sell at roughly $120 less than the normal price, but you get $100 off your next shopping trip at Meijer’s. Awesome package. 9. Sam’s Club: Apple iPhone 5c w/2 yr. Contract: 96 cents. 96 cents is not a misprint. Great deal for a new iPhone, however limited supplies means you’ll have to get there early. 10. Sam’s Club: LG Blu-ray Player: $38 This high-def disc player is not compatible with a Smart TV device, but at $38, this is a great deal for Blu-ray enthusiasts. The Black Friday deals can change from day to day as retailers leak more of their circulars. Check out BFads.net for the latest up to the minute news on holiday sales this year.